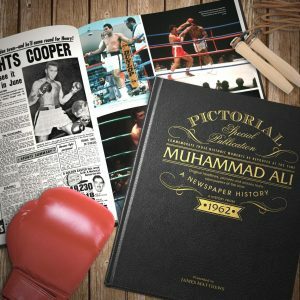 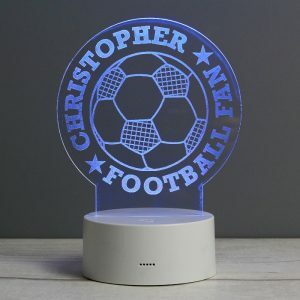 Following their team can become a way of life not a hobby, and this beautifully presented book will ensure they know everything about their teams history, through all the ups and downs! 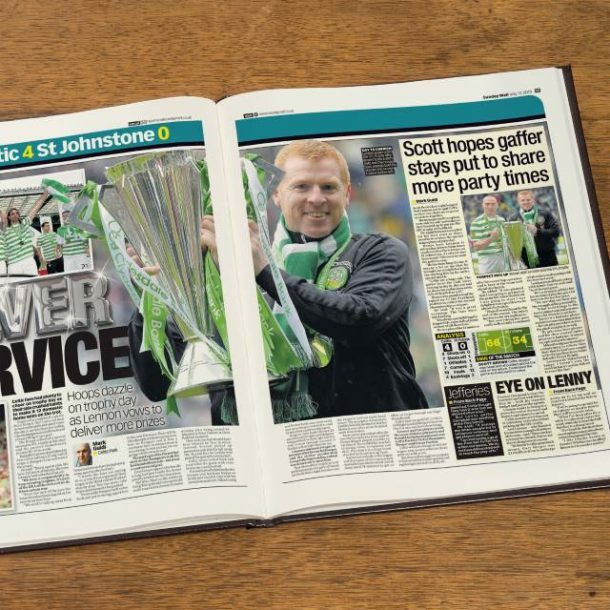 Our Personalised Celtic Leather Football Newspaper Book is a great gift and book, that will take Celtic fans on a journey of great games and achievements. Capture the history and greatest moments of Celtic football club through newspaper articles written at the time. 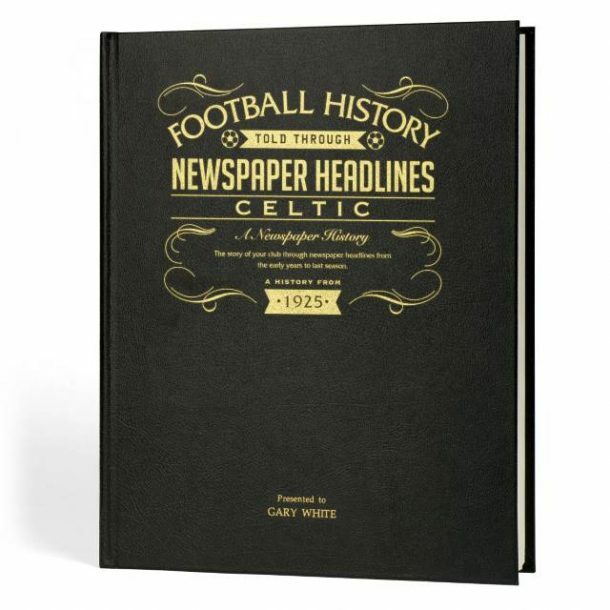 Starting with coverage of Celtic’s 5-0 win over Rangers in the 1925 Scottish Cup semi-final, this book charts a glorious history of great games, names and league and cup titles through the decades. 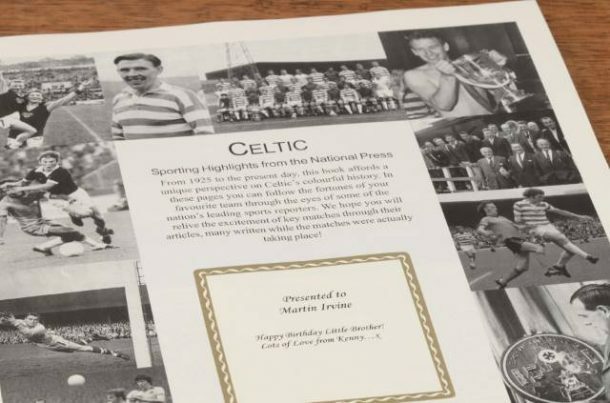 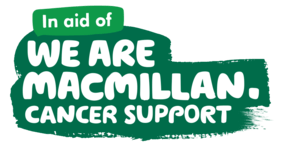 Relive that famous year in 1967 when Celtic they won 4 major titles becoming the first British club in history to win the coveted European Cup. 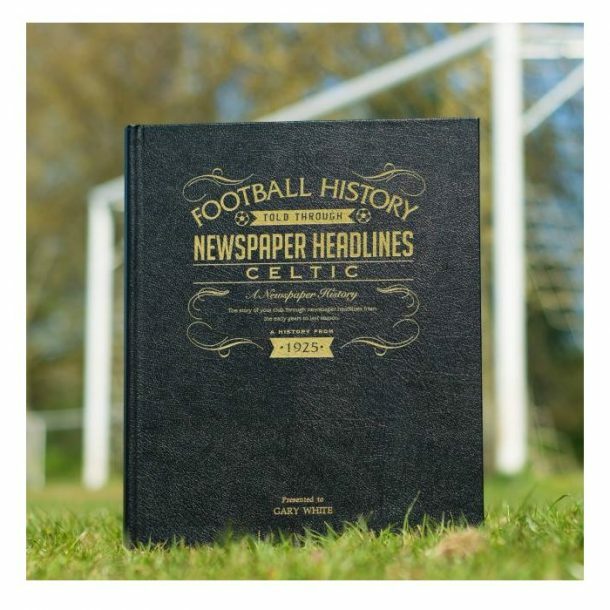 And that amazing feat when Celtic won 9 league titles in a row from 1966 to 1974. All this and much more is featured in newspaper coverage right up to the end of last season.